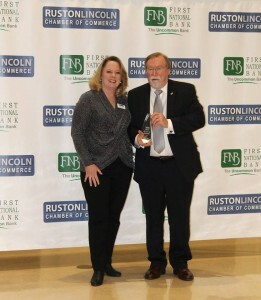 The Cleaners of Ruston was named the Business of the Year for 2017 by the Ruston-Lincoln Chamber of Commerce at its 98th Annual Awards Banquet on January 16. Pictured left is Mr. Shepherd receiving the Business of the Year award from Chamber president Judy Copeland. Everyone at The Cleaners of Ruston would like to thank Ruston and the surrounding communities for the honor of this award. The Cleaners of Ruston is proud to announce the promotion of Mark Hough to Plant Manager. Mark has been with The Cleaners of Ruston for over 8 years and has worked in all areas of the business. 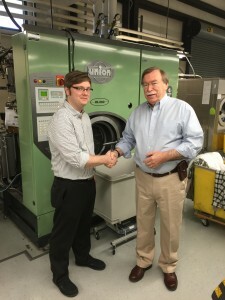 He is a graduate of Louisiana Tech University and the Drycleaning & Laundry Institute. He is shown here with Jim Shepherd, owner of The Cleaners of Ruston. The Cleaners of Ruston is a proud Partner in the Lincoln Parish Adopt-A-School program. 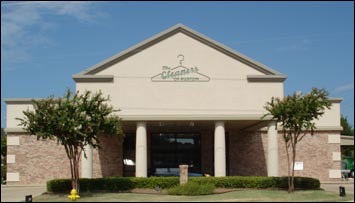 The Cleaners of Ruston is partnering with I.A. 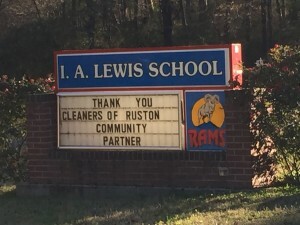 Lewis, the 6th grade school in Ruston.